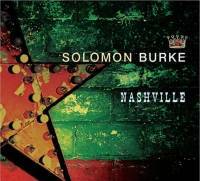 Win Solomon Burke's New CD! Please e-mail your name and mailing address (including street address, city, state and zip code) to enter the contest before midnight Eastern the morning of October 22, 2006 (11 p.m. Central the night of October 21). One randomly-selected entry will win the CD and will be revealed on the site in the updated posted the evening of October 22. Odds of winning depend on the total number of entries submitted. By entering, you are granting permission for your name and hometown to be published on Dollymania should you win. As federal law requires those submitting information over the Internet to be at least 13 years of age, anyone sending an entry is attesting that he or she is above that minimum age requirement. Limit one entry per person and one entry per physical mailing address. Duplicate entries will be discarded. The winner will be notified of the prize selection via e-mail. Entries which do not include all required information will be discarded. Dollymania and Shout! Factory are not responsible for entries which become lost in cyberspace (or misdirected or lost prize parcels). All entries become the property of Dollymania at the time of entry. Void where prohibited. The contest has concluded. Please do not send an entry. Thank you.